22 Breakfast Buy 1 Get 1 Goodies that will Brighten up Your Mornings! Pizza and two cups of coffee for breakfast? We’re all guilty of snoozing our phones in the morning because of the separation anxiety we all feel from the comfort of our beds. 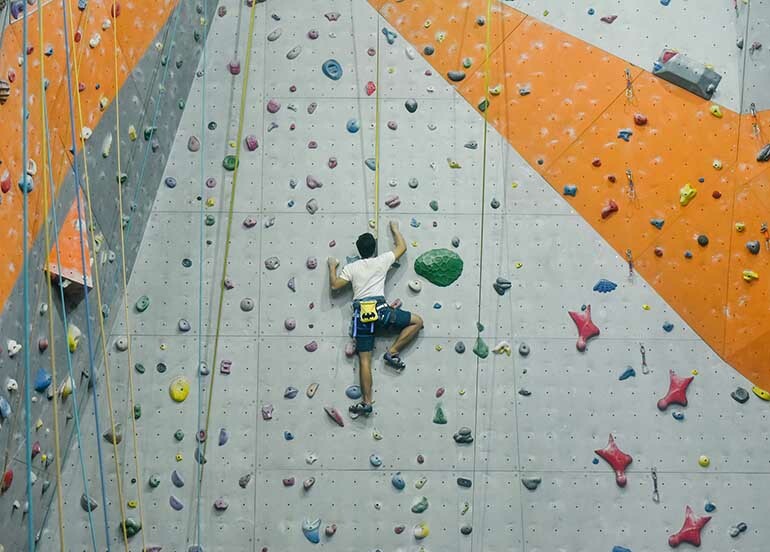 Well, you won’t be struggling to get up anymore with these BUY ONE GET ONE Breakfast deals! Breakfast is the most important meal of the day. Not only does it fuel our bodies to start the day strong, but it also makes our mornings bright and beautiful. 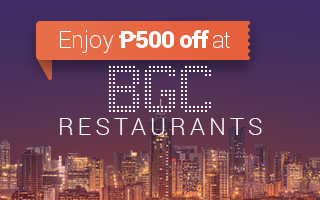 We’ve come up with a list of Buy 1 Get 1 breakfast deals for you and a friend to enjoy! 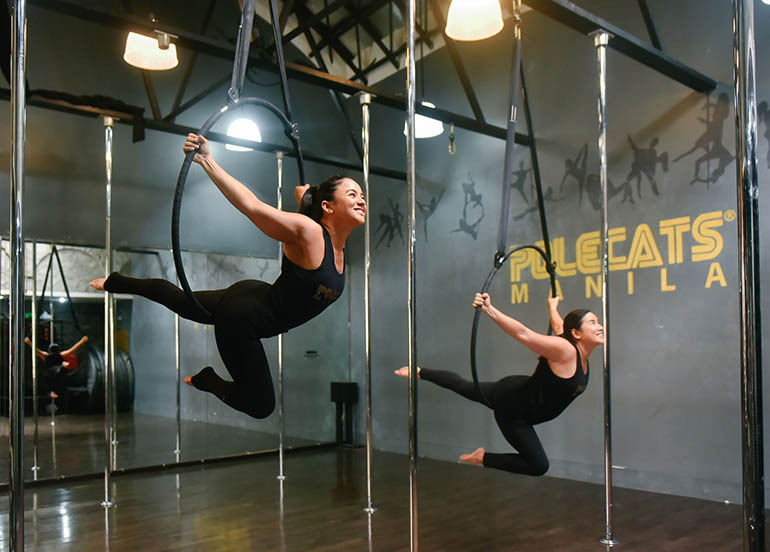 Update: Check out all of our Buy 1 Get 1 deals here! 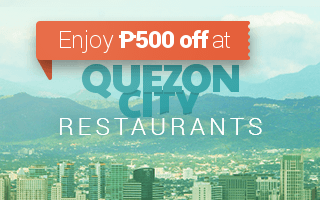 Price: 2 orders of Blueberry Pancakes for just ₱197! 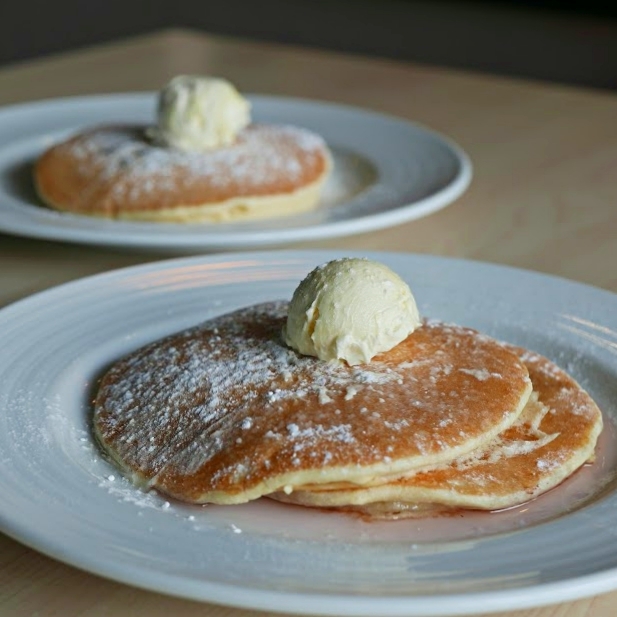 Pancake House is one of our most loved and go-to family restaurants that serve familiar comfort food and breakfast favourites. 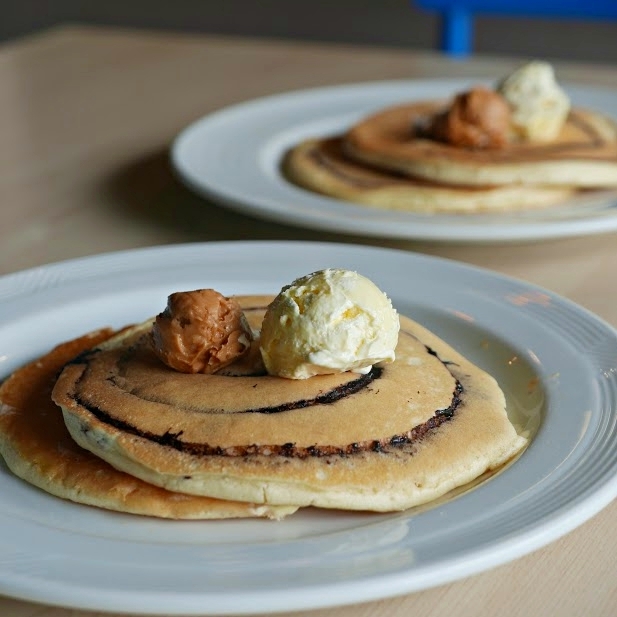 The Buy 1 Get 1 deals are the Classic, Choco Marble, Choco Chip and Blueberry Pancakes. Price: 2 orders of Choco Marble Pancakes for just ₱192! 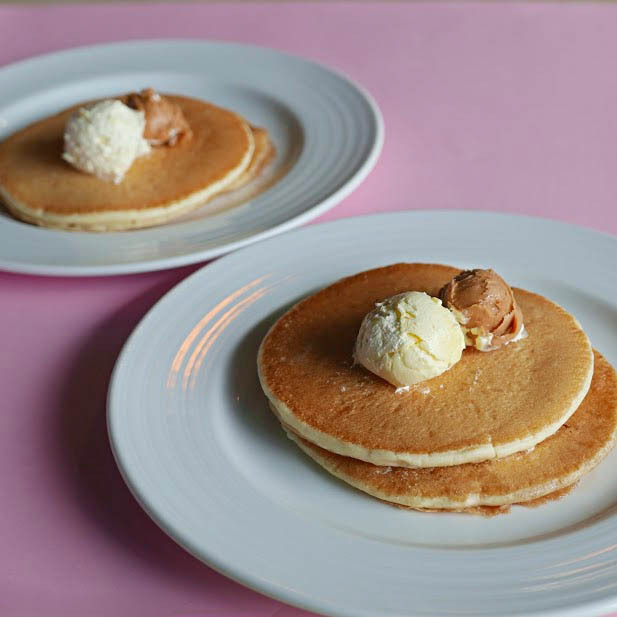 Price: 2 orders of Choco Chip Pancakes for just ₱187! 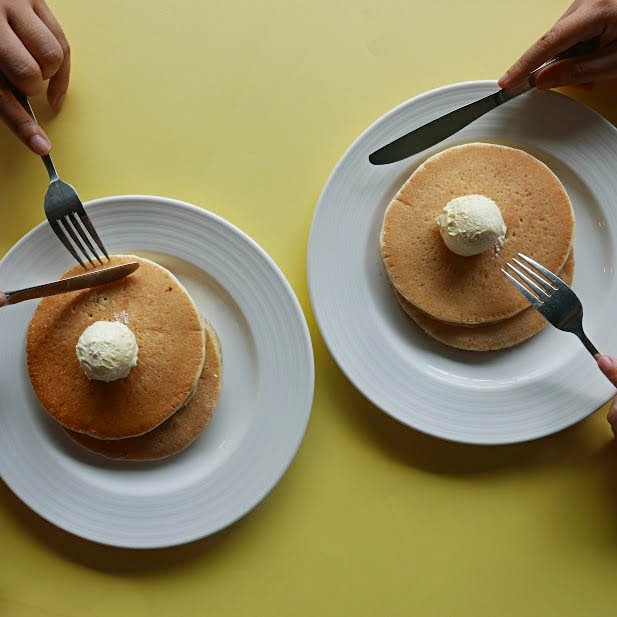 Price: 2 orders Classic Pancakes for just ₱150! 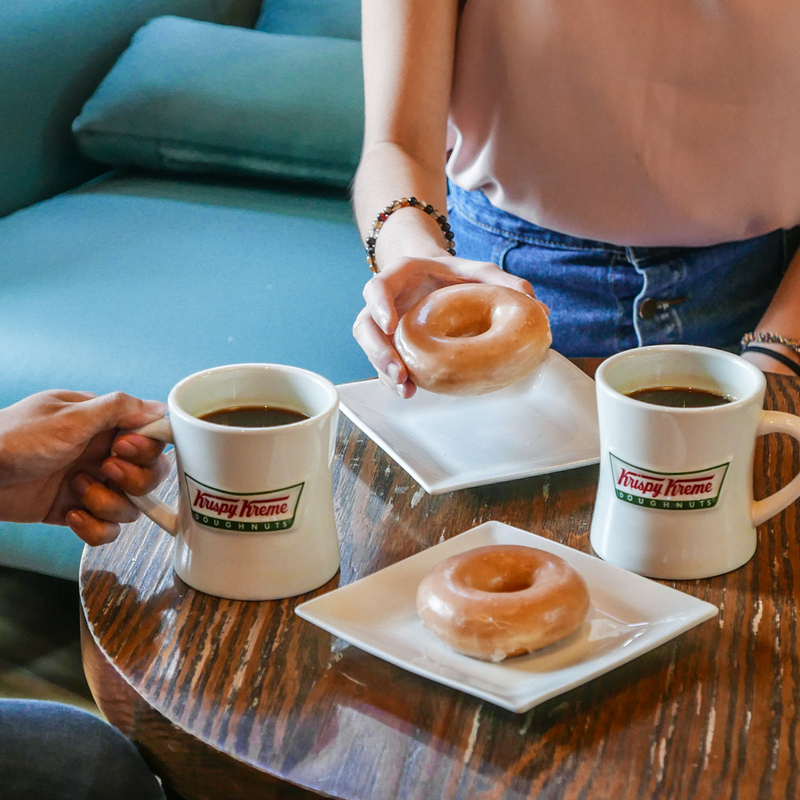 Krispy Kreme is America’s favorite doughnut and coffee shop. It’s probably the only doughnut shop whose Original flavor is more popular and unbeatable by the rest of its menu. Price: 2 Doughnuts and 2 Signature Coffees for just ₱129! 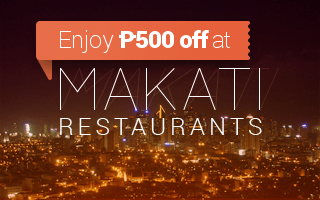 A European inspired, Australian cafe in the heart of BGC. Offering a wide variety of breakfast & brunch options, gourmet sandwiches, decadent desserts, specialty coffee, artisan ice cream, cocktails and more. 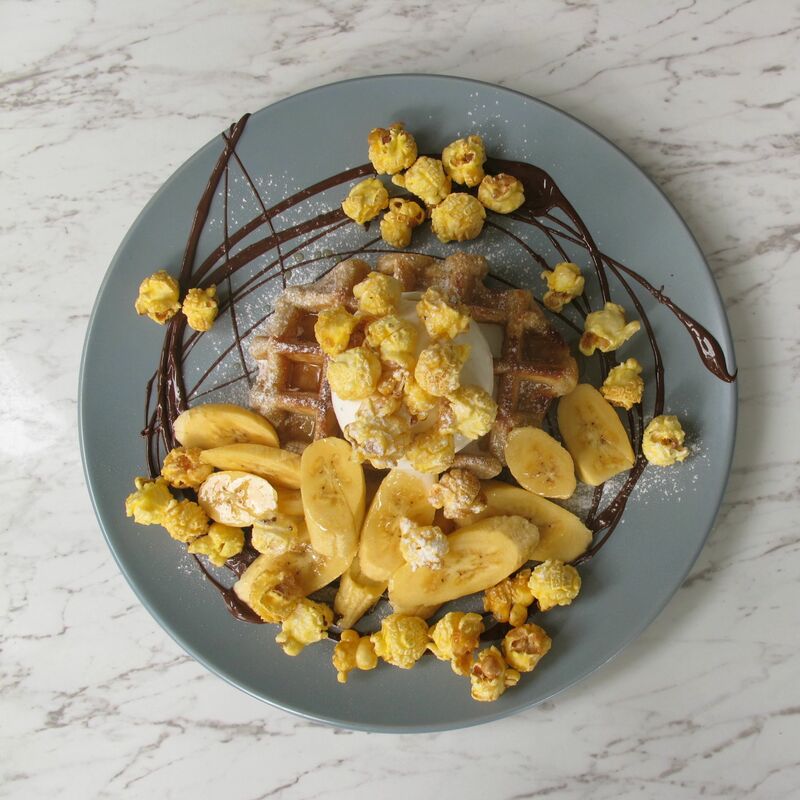 Price: 2 Banana Popcorn Waffles for just ₱380! Caravan Black is a specialty cafe that offers hand brews, iced coffee and Caravan signature drinks. They also serve breakfast meals, grain bowls, pasta, and rice meals. 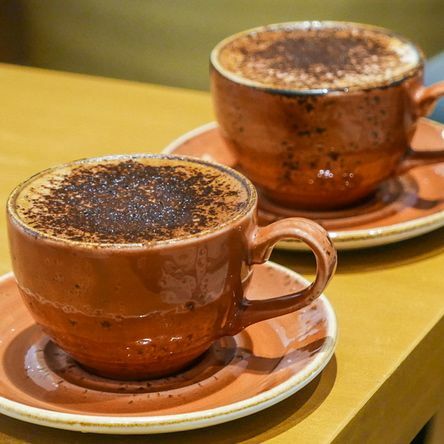 Come for the coffee, stay for it too. 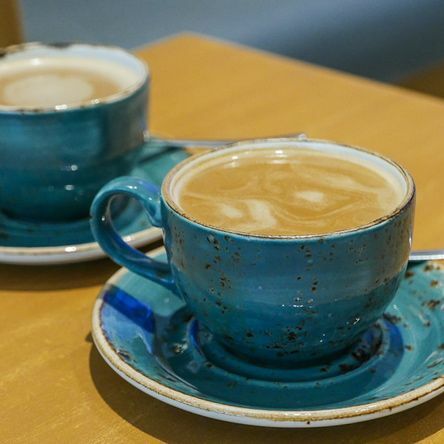 Price: 2 Cappuccinos for just ₱145! Yellow Cab is a popular pizza chain that opened back in 2001, known for their premium ingredients and generous toppings. They wanted to share a slice of New York with Filipinos, hence the name and ode to the famous NYC taxis. Price: 2 Breakfast Pouches (choose from Pepperoni, Bacon, or Salami) for just ₱199! 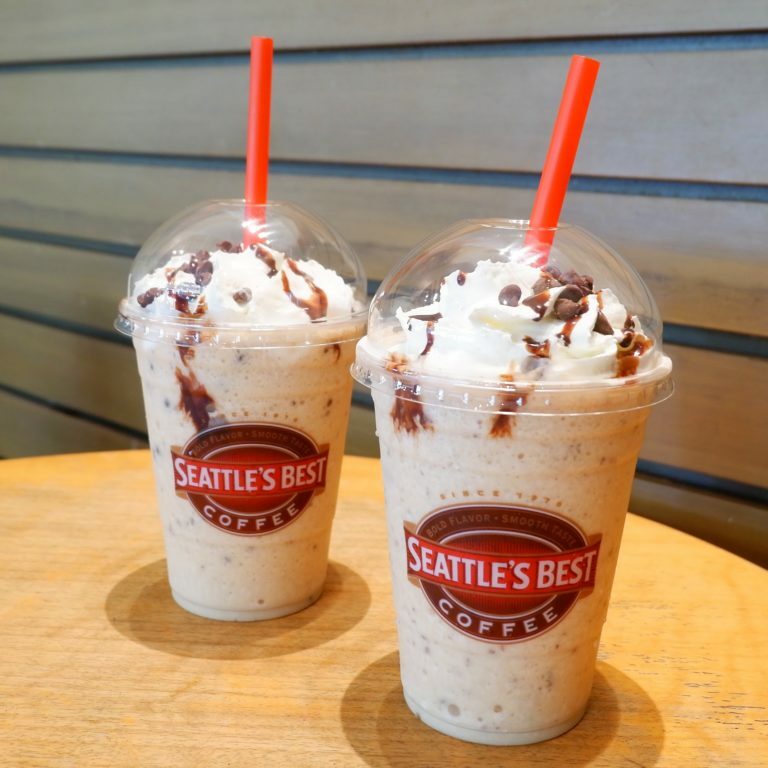 Seattle’s Best Coffee got their name after joining and winning a competition to find “the best cup of coffee in Seattle.” Over the next 45 years, they’ve been roasting and brewing quality coffee that keeps you coming back for more. Price: 2 cups of Javakula for only ₱195! 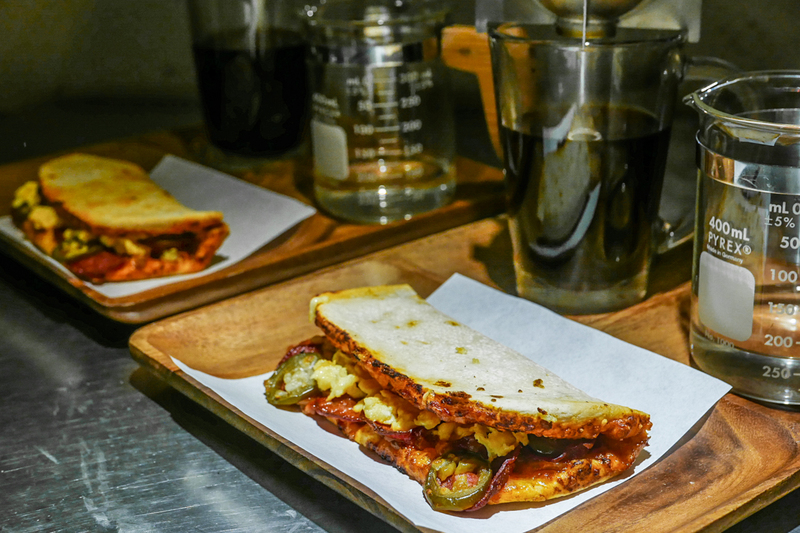 YDG or Your Daily Grind is a hipster and hidden cafe in Makati and Mandala Park serving specialty coffee including cold brew, sandwiches and more. 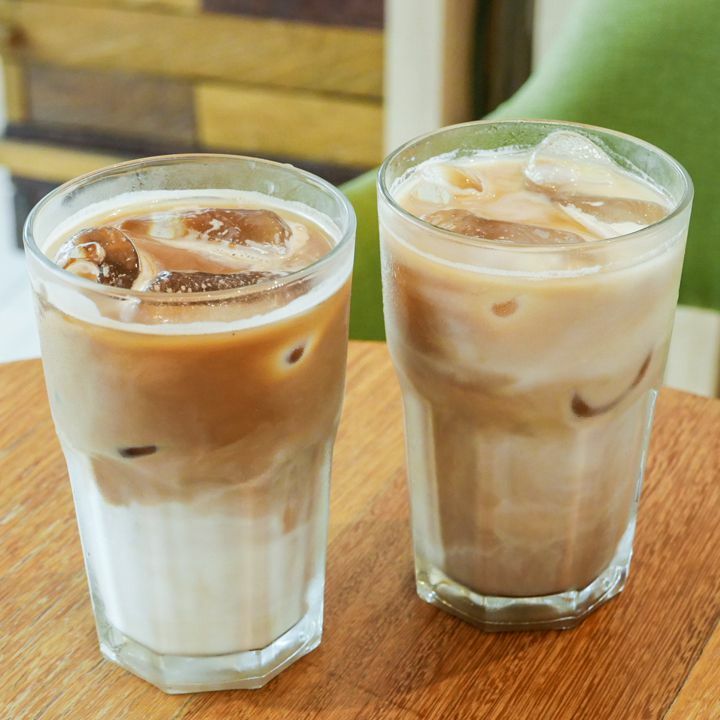 Price: 2 cups of Iced White Coffee for just ₱130! Giving everything soy has to offer, Soy Yummy’s products are made from fresh, non-GMO soy beans all the way from Canada. 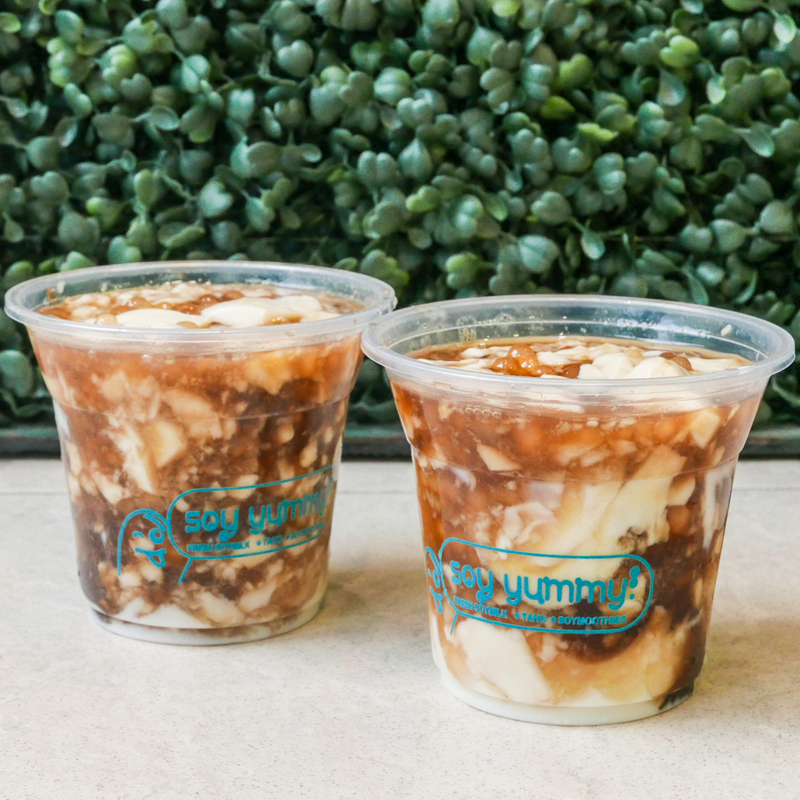 Including both hot and chilled taho, they also offer soy milk available in original, melon, chocolate, muscovado, and honey flavors. Price: 2 regular orders of Chilled Taho for just ₱40! Price: 2 large orders of Hot Taho for just ₱45! UCC is a Japanese-inspired cafe that serves all-day breakfast dishes, lunch specialties, and a wide array of specialty coffee. They have a wide variety of desserts such as cakes, crepe cakes, waffles, parfaits, and so on. 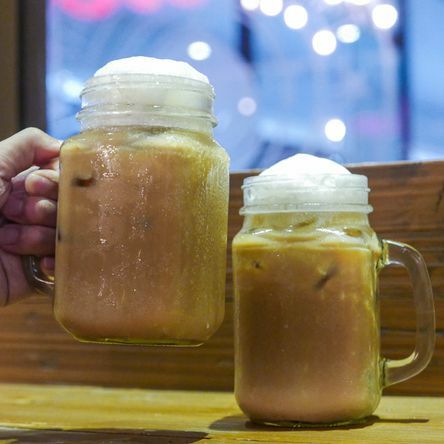 Price: 2 Iced Brendo for only ₱190! 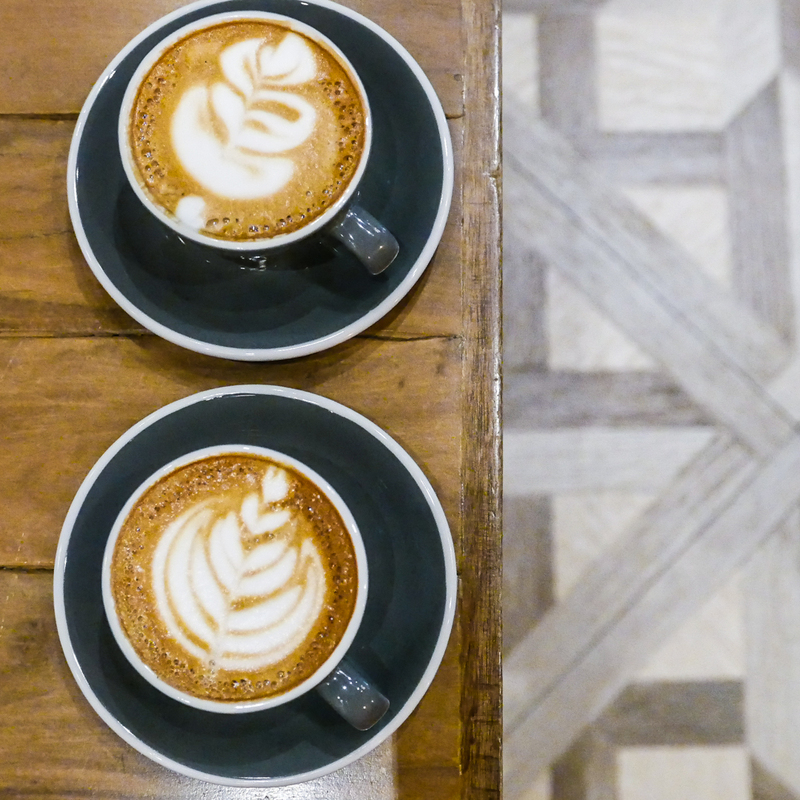 UCC Clockwork is a third wave coffee shop and UCC’s newest concept store featuring blends from a variety of local and international single origin coffee. 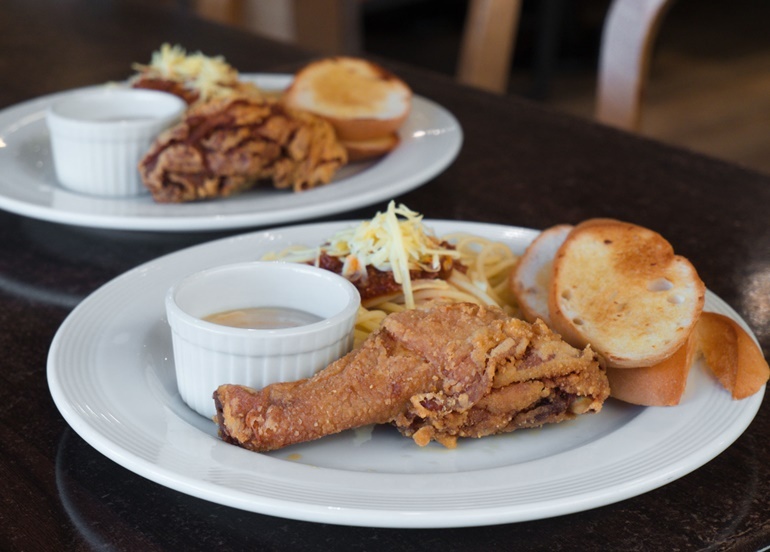 They also have a wide selection of food ranging from appetizer to dessert. 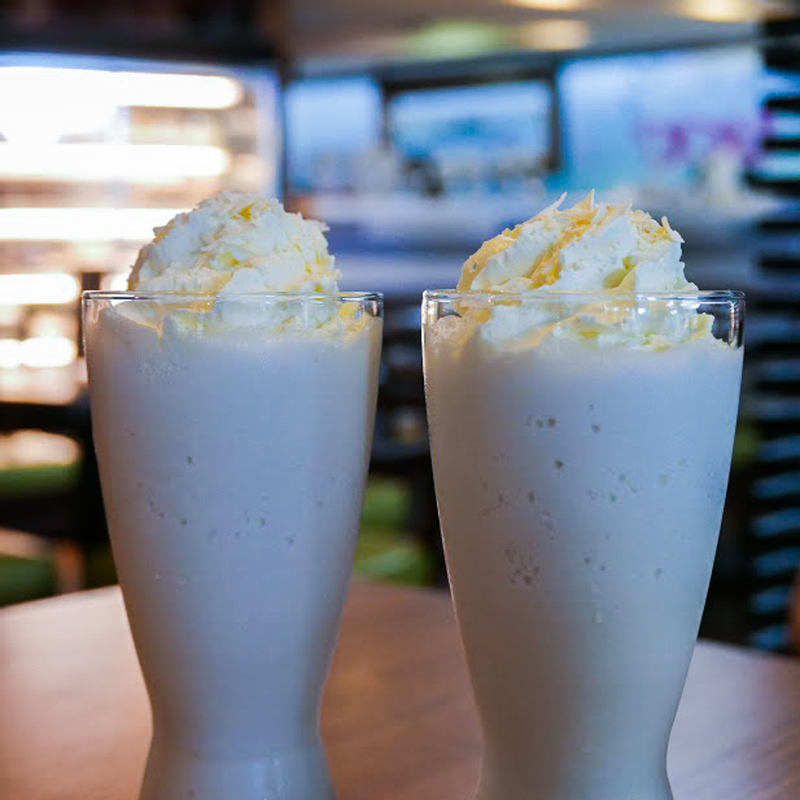 Price: 2 Skinny Vanilla Latte Hot for ₱170 and Cold for ₱190! 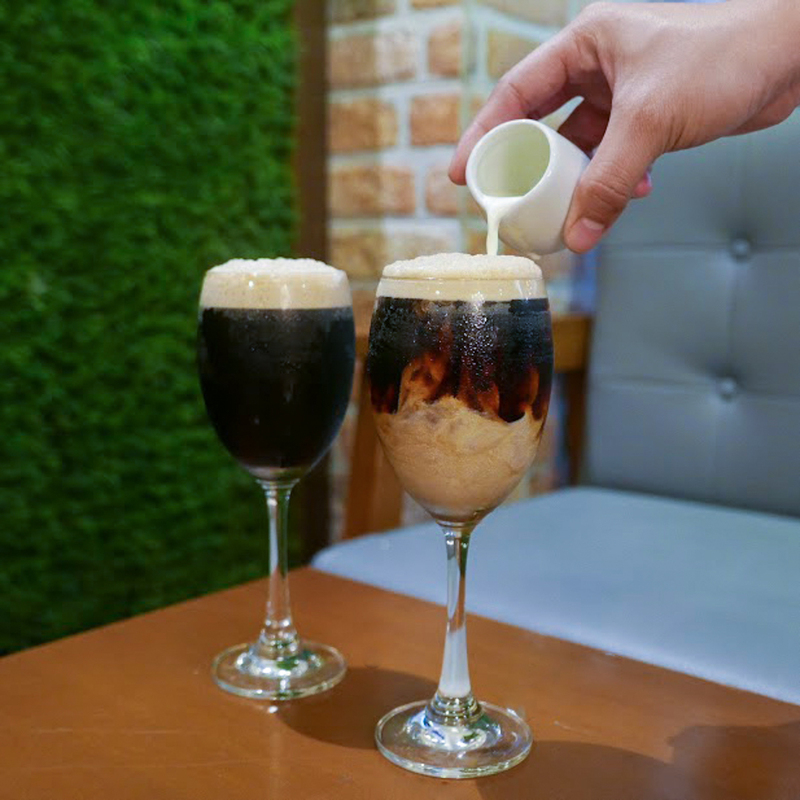 Price: 2 Nitro Draft Cold Brew Coffees for ₱200! 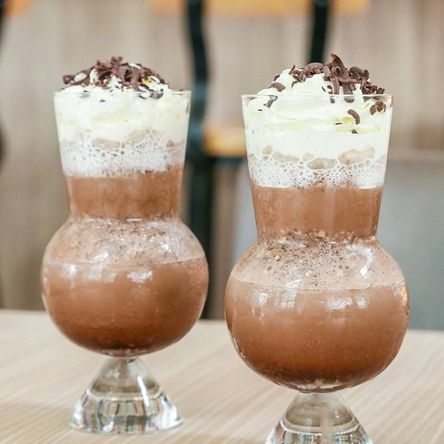 Price: 2 Black Sugar Cappuccinos for just ₱170! 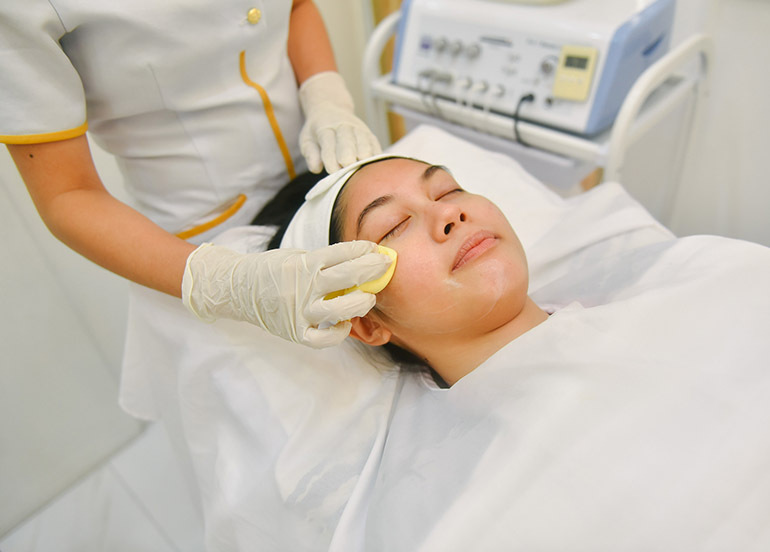 Price: 2 orders of Bulletproof for just ₱160! Mentoré Coffee + Bar by UCC currently has 2 branches in Metro Manila. 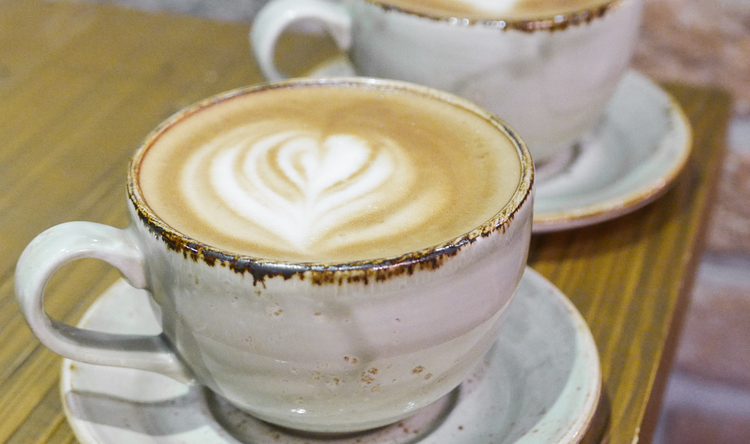 Their flagship store houses a coffee bar laboratory that features their 5 different brewing methods: Syphon, Pour Over, Water Drip, French Press, and Espresso. Price: 2 Choco Chip Bits Brendo for just ₱240! Dark Specialty Coffee & Tea in SM North EDSA offers hot and cold coffee and other beverages as well as light snacks and pastries. 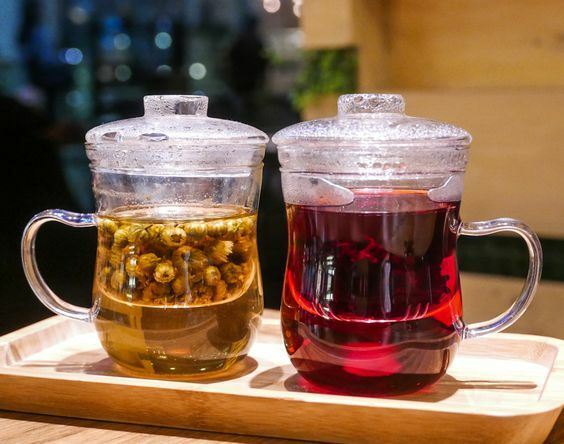 Price: 2 Loose-leaf Hot Teas for just ₱120! Ally’s is the first all-day breakfast cafe that offers a design your own pancakes and waffles menu. All star breakfast plates and platters are also served. No jokes here, waffles are serious business. 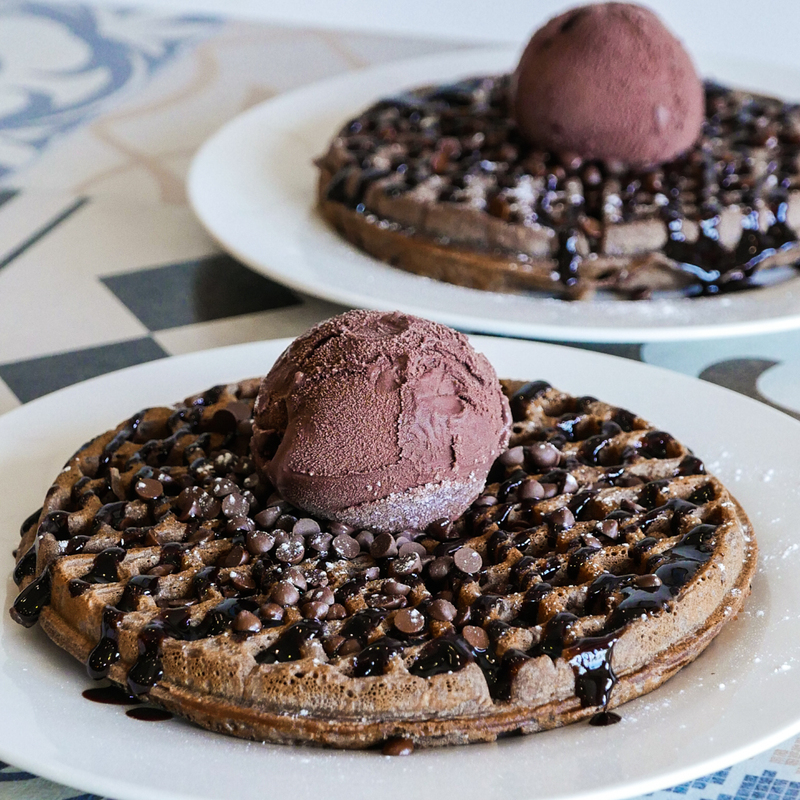 Price: 2 servings of Triple Chocolate Waffles for just ₱185! 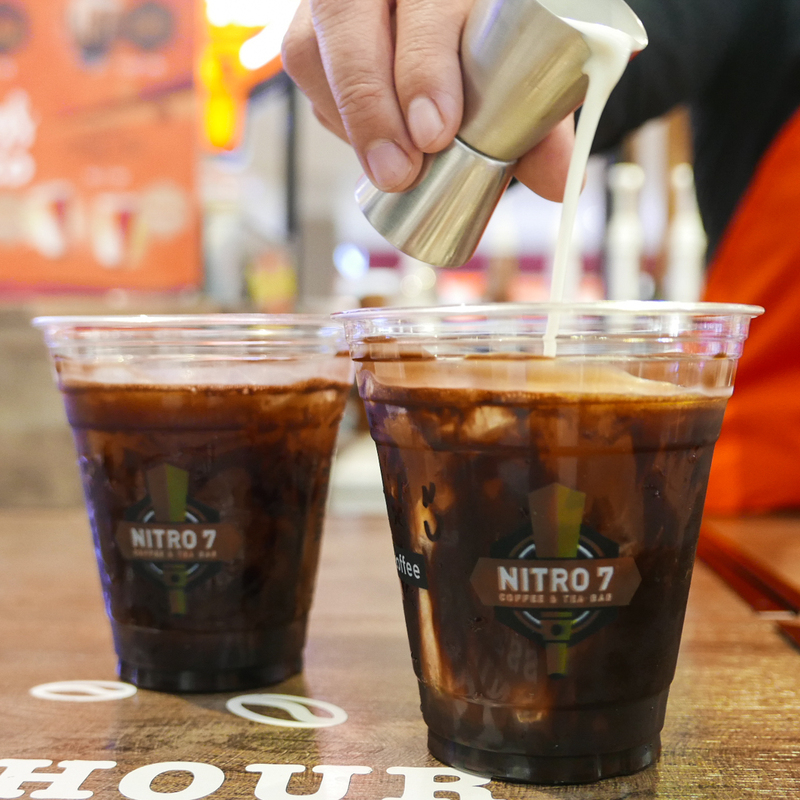 Nitro 7 Coffee offers nitrogen-infused cold brew coffee and tea for both bean and tea leaf lovers alike! Their signature brews Black Nitro, Hazelnut Caramel Mocha, and Irish Breve are their best-sellers. Price: Get two large cups of Chocolate Macadamia for just ₱135! B.A.D. (Breakfast All Day) is a late night breakfast bar that offers toasts, sweet and savory waffles, and more. 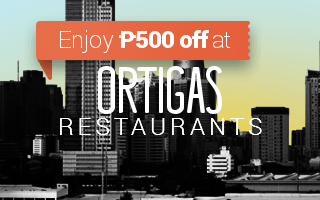 We can’t resist their take on tapsilog! 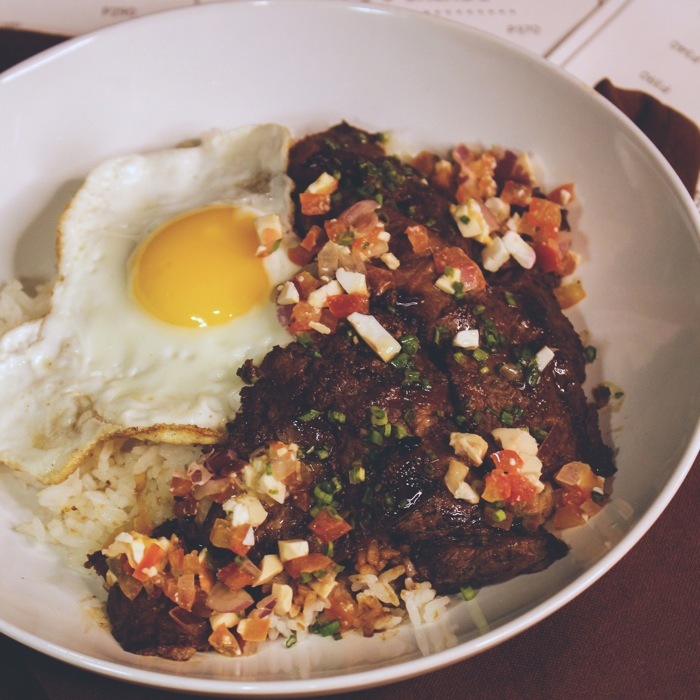 This bad boy consists of USDA flat iron steak, fried egg, garlic rice, and salted egg salsa. 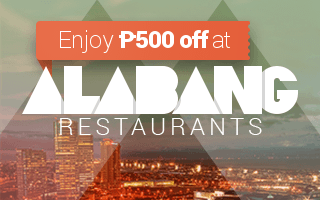 Price: Get 2 Tapa Steak for just ₱340! 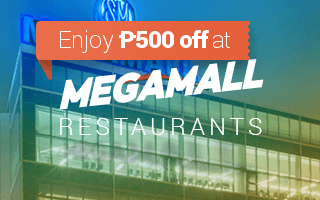 ALSO READ: Buy 1 Get 1 Coffee Deals for Every Caffeine Junkie in Metro Manila! Guess what! 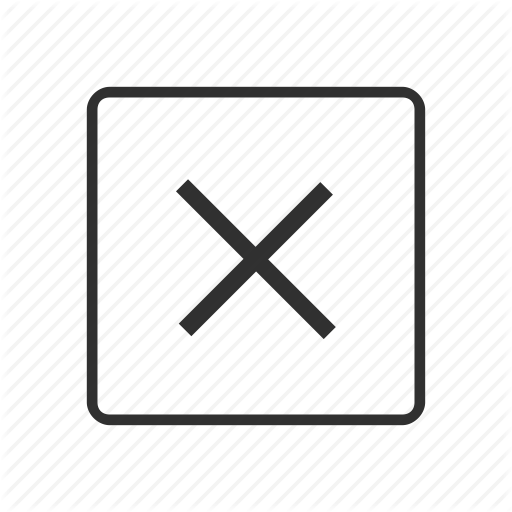 Booky has more Buy One Get One promos waiting to be claimed! 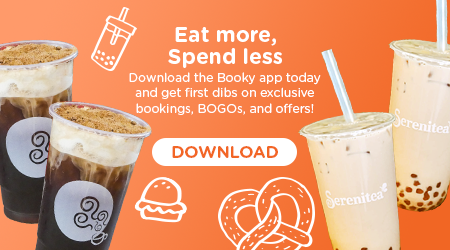 Just download the Booky app and go to the Buy 1 Get 1 tab to check out all the exciting food you can claim throughout the metro! Remember to tag us in your photos with the hashtag #BookyTwinning to be featured! Cold Brew Offers and More from Costa Coffee! BOGO Alert: SIX Milk Tea Offers you can Mix and Match at Tea 18! 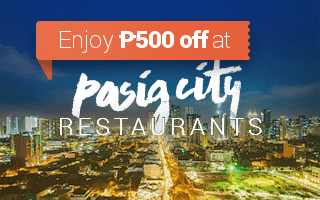 EXCLUSIVE: Buy 1 Get 1 Buko Pandan Fruit Shake and Pearl Milk Tea at Ersao!